Modern industrial charm! 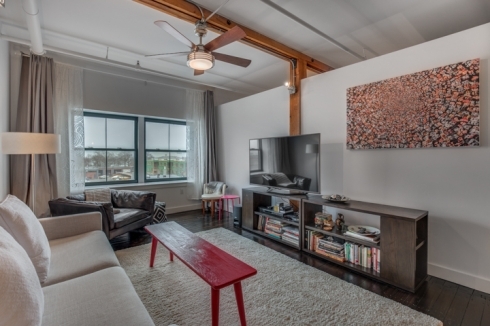 Stunning one bedroom, one bathroom South Boston loft with Parking included! Ideal loft living, this 1000+ square foot home features an open floor plan perfect for entertaining. Fully renovated in 2015, the kitchen features a Viking stainless steel appliance package, an expansive granite island, and flows directly into the grand living space large enough for a 12 person dining table and full living room. Boasting high ceilings, vintage espresso hardwood floors, and exposed original timber beams throughout, this loft is truly one of a kind. Generous office space, a bedroom big enough for a king bed, in-unit laundry, ample storage, exclusive use of one tandem garage parking space, and common yard complete this home. Located just around the corner from Castle Island enjoy everything South Boston has to offer! Truly a must see home!